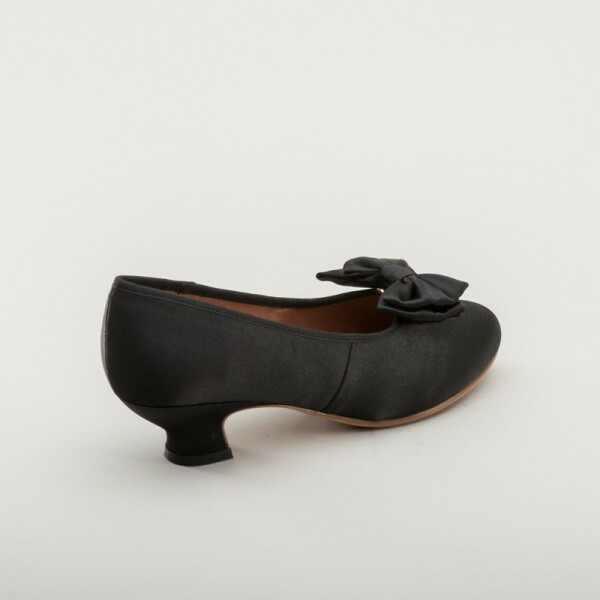 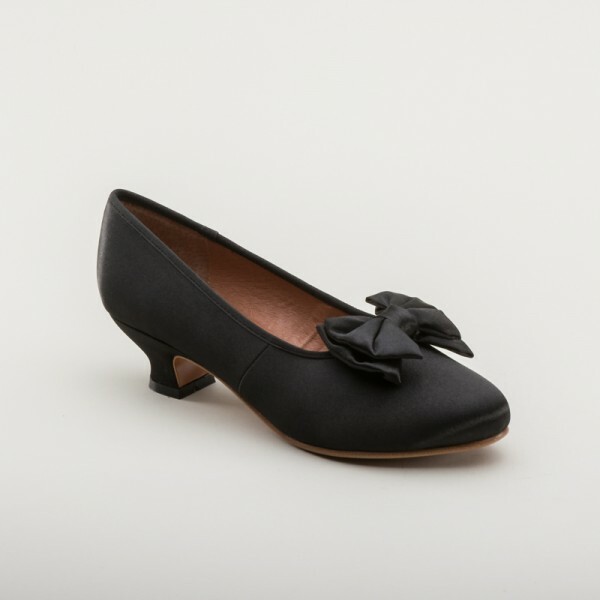 Amelie Satin Pumps are the answer to your late Victorian and Edwardian eveningwear questions. 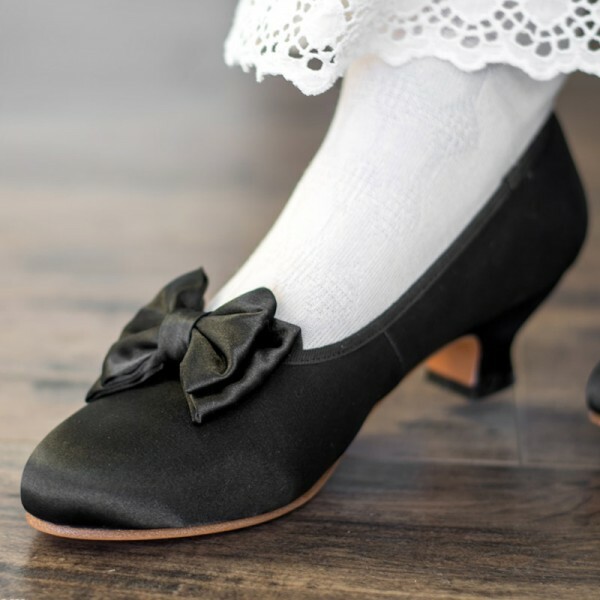 What do you wear on your feet with that gorgeous bustle ball gown or the beautiful Edwardian dinner dress you've worked so hard on? 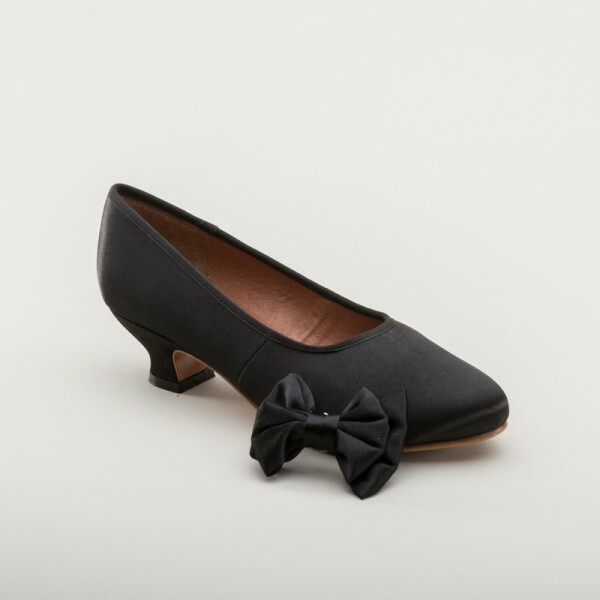 With luminous satin and changeable clip-on bows, the Amelie Satin Pumps offer all the elegance needed, with a comfortable and attractive 1.75" / 4.5 cm French heel, softly tapered toe, leather soles, and leather lining. 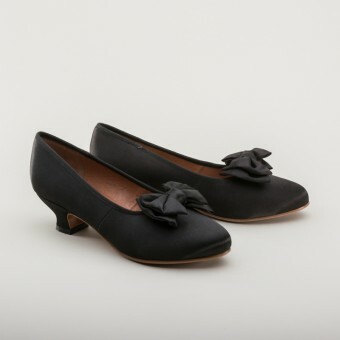 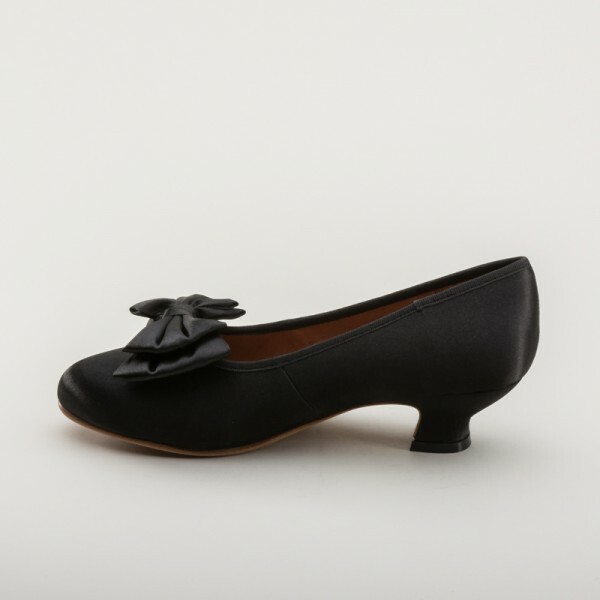 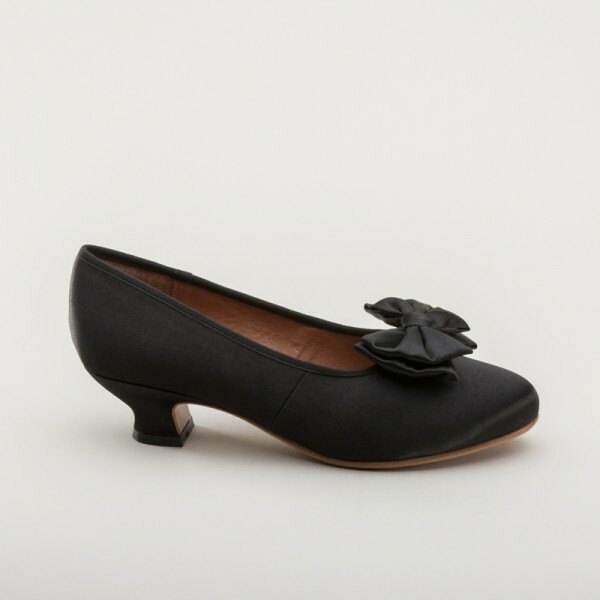 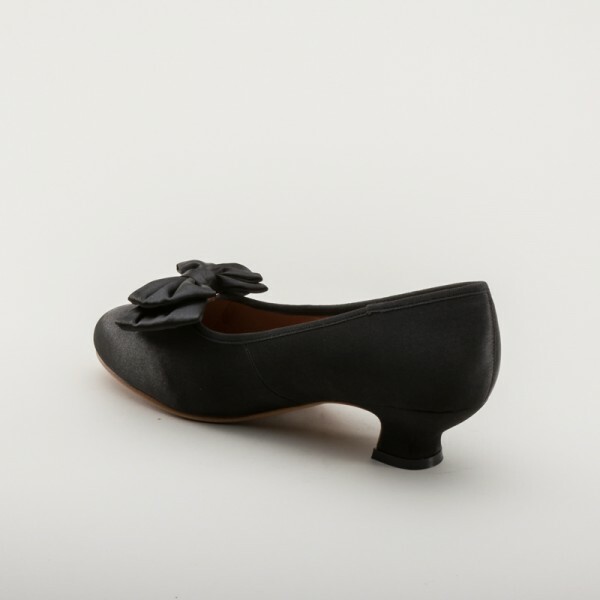 "Amelie" Satin Pumps (Black)(1880-1920) has an average rating of 5/5 from 1 reviews.